Moving can be relatively cheap when you know which company to work with. 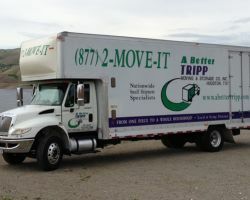 A Better Tripp offers nationwide moving services as well as local options that include packing, shipping, and storing. Reviews of this company all say great things about how well the movers worked and how organized they were as a team. It is clear that this company has the experience it takes to execute a stress-free move. They do this with an ease that is infectious and worth every penny. 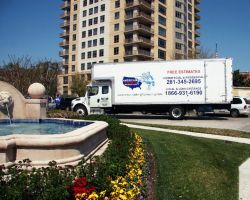 Eagle Movers is a local moving company based out of Katy, TX. Knowing that moving is not a fun or relaxing project is what drives this company to make the process as quick and painless as possible. As house movers and apartment movers, the technicians at this company work to ensure that all of your items are packed and moved with as much attentiveness and care as you would provide if you were to move the things yourself. They are professional and reliable in everything they do. You don’t need to hire one of those nationwide moving services when you can trust the one right in your backyard. Whether you are moving some furniture to a new home, your office into storage or uprooting your entire life and moving across the country, Katy’s Most Reliable Moving Co. is ready for any moving project you may have. They are not only a service that you can trust to care for your belongings as you would, but they offer such services at some of the most affordable prices in Texas. Moving can be a stressful project but you don’t want the movers you deal with to add to that stress. American Knights is one of the best moving companies in Katy, TX because they provide a quick and easy step-by-step system that they use to ensure you spend as little effort as possible directing them. You simply fill out a short form and then they will move you to your new home within 2 business days of the start of your agreement. 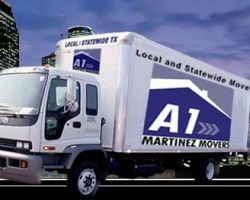 A1 Martinez Movers has made a name for itself as the most reliable Katy movers. The workers at this company are not just muscle, but movers and packers that have been trained to deal with more delicate items like fine pieces of art as well as bulky but precious items like a piano. Whether you are moving residential or commercial spaces, these expert movers can ensure that all of your things make it to their new destination in the best condition possible.